Oceanpaddler offers two types of group training sessions to help improve your paddling skills. All sessions are held from Clontarf Beach. If you live on the south side you can also launch from Balmoral or Spit Bridge. More information is outlined below. This session is for most paddlers no matter what level of ability or if you are just starting out. Our weekly sessions will teach you how to paddle well, use the available sea conditions and learn to race. Ideal for beginnners and intermediate paddlers and a good starting point for ladies and younger paddlers that want to get into more of the ocean paddling style events or just a good physical lifestyle choice. For those from a flatwater background you will get the opportunity to slowly learn all aspects of ocean paddling. Need a ski? : No problems. You can hire a ski from Sydney Harbour Kayaks at The Spit. Please call them to book in. We can also hire skis if required. Bookings: Please make sure you book by calling us on 0422 554 965 or email contact@oceanpaddler.com. Payment can be made over the phone with credit card. 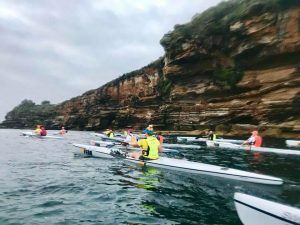 ipaddle Squad is our regular training squad that paddles every Monday and Friday at Middle Harbour. Paddling in a group environment is not only more enjoyable but greatly assists in improving your speed and skills. Our training methodology is very practical, easy to follow and designed to work for all levels of paddlers. 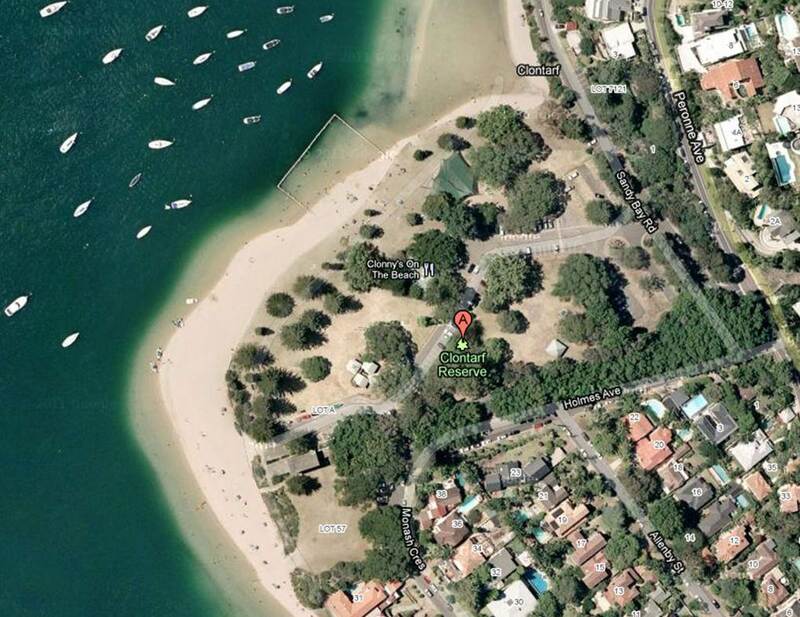 Where: Clontarf Beach @ 5.30am or Balmoral Beach @ 5.45am. If you live on the north of Spit Bridge then meet us at Clontarf, if you live on the south then it is easier to go from Balmoral. The Clontarf group paddles over to Balmoral where we commence the session. See below maps for details. Requirements: All paddlers must wear a lifejacket and white lights front and back on craft or paddler when dark. If you would like to join us for a session please email Yanda – yanda@oceanpaddler.com to discuss the best day to come along to your first session. A waiver form will also need to be signed prior. 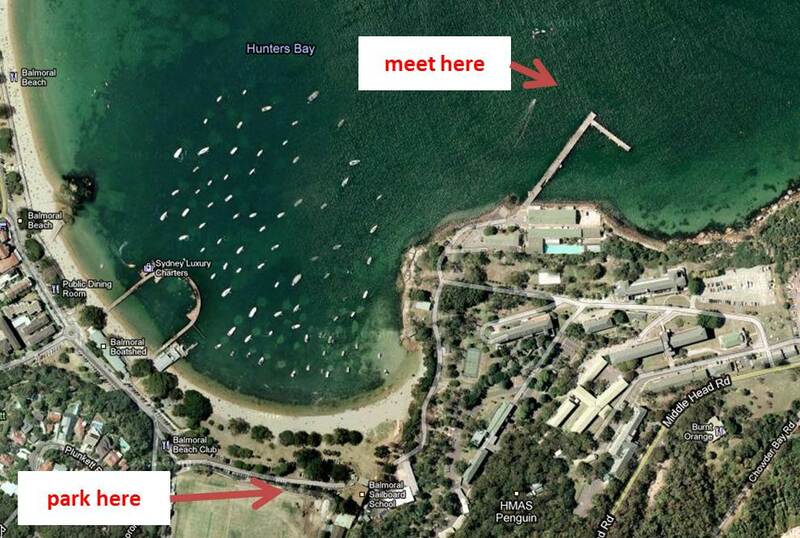 Turn into carpark at Clontarf reserve off Sandy Bay Road. We meet in the carpark near Clonny’s Restaurant. East end of Balmoral Beach, near Sailing Club at Balmoral Park. Paddlers paddle out to the HMAS Penguin Base wharf to meet the group from Clontarf. The below map outlines specific locations and points that we reference in training. Please become familiar with these landmarks to assist with navigating in the training session. Safe paddling is our number one concern. Please take some time to review the below documents and safety videos. Further information can be found at Transport for NSW Marine Management. 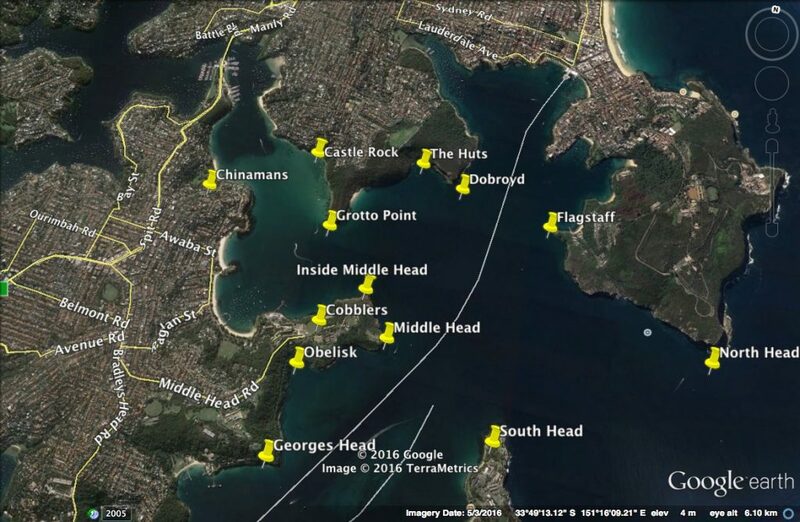 Know your harbour and the key landmarks and buoys. These maps will show you everything you need to know.